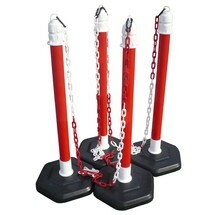 The fast blocking and unblocking of outdoor areas is very easy with this set of Premium chain posts. 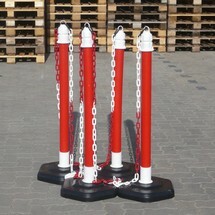 The weather-resistant posts are easy to handle and very stable. You can protect areas effectively while staying mobile. 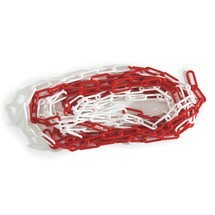 The chain posts make it easier than ever to block off or open up interior areas. 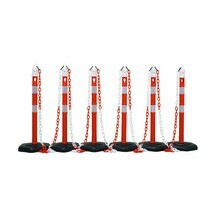 They can be put together quickly and have high stability even without fixed mounting. They combine safety with mobility.